Welcome On The Page Of The Dutch FlavourZ. Founder And Owner Tropic S. Already Made Some Collabs With Some Of The Biggest Names In The Dutch House & Latin House Scene. 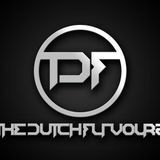 Together With Dpazz & Daylo They Now Represent The Dutch FlavourZ In Full Effect! Stay Tuned For A Lot Of Tracks And Exclusive Bootlegs Witch They Want To Share With YOU. They Are Alway&apos;s Looking For Some New Collabo&apos;s, So If You Like Their Sounds And Want To Work With Them Please Let Us Know. Send Your Demo&apos;s And/Or PM Us, But Be Quick, The Line Is Waiting And Its Getting Bigger Day After Day. We Are Looking For New Labels For Their Tracks To Sign. They Got A Lot Of Unsigned Tracks And Even Much More To Come. Club Owners And Booking Agency&apos;s Feel Free To Contact Us, Because We Are Also Looking For New Gigs, New Places, New Countries But Most Off All, New Challenges!